Memorial and Museum Sachsenhausen and Gedenkstätte Berlin-Hohenschönhausen will appeal to history buffs. Neues Museum and Jewish Museum Berlin are good opportunities to explore the local culture. Venture out of the city with trips to Potsdam's Gardens (in Potsdam), Spreewaldfahrt, Familie Goertz (in Lubben) and Schloss / Schlosspark Petzow (in Werder upon Havel). And it doesn't end there: make a trip to German Historical Museum, pause for some photo ops at Memorial to the Murdered Jews of Europe, examine the collection at DDR Museum, and contemplate the long history of Bebelplatz. To see traveler tips, reviews, and tourist information, read our Berlin holiday planner. If you are flying in from Germany, the closest major airports are Berlin-Tegel Airport and Berlin-Schönefeld Airport. Wrap up your sightseeing by early afternoon on the 25th (Mon) to allow time for travel to Zagreb. Visiting Recreational Sports Center Jarun and Jarun Lake will get you outdoors. Your cultural itinerary includes sights like Upper Town (Gornji Grad) and Museum of Broken Relationships. Spend the 28th (Thu) wandering through the wild on a nature and wildlife tour. Next up on the itinerary: contemplate in the serene atmosphere at St. Mark's Church, explore the different monuments and memorials at Mirogoj Cemetery, and admire the landmark architecture of Cathedral of the Assumption. To find other places to visit, maps, where to stay, and more tourist information, use the Zagreb travel planner. You can fly from Berlin to Zagreb in 4.5 hours. Alternatively, you can drive; or do a combination of train and shuttle. In September, daytime highs in Zagreb are 25°C, while nighttime lows are 13°C. Finish your sightseeing early on the 28th (Thu) to allow enough time to travel to Split. Do some cultural sightseeing at Trogir Historic Site and Old Split. Visit Cathedral and Bell Tower of St. Domnius and Hilltop 15th Century Church of St. George in Old Town Primosten for their historical value. Change things up with these side-trips from Split: Trogir (Kairos Collection & The St. Lawrence Cathedral), Velika Raduca beach (in Primosten) and Brela (Brela Beach & Punta Rata Beach). There's more to do: take in the awesome beauty at Marjan and wander the streets of Riva Harbor. To find photos, traveler tips, more things to do, and other tourist information, you can read our Split sightseeing planner. You can fly from Zagreb to Split in 2.5 hours. Alternatively, you can drive; or take a bus. Plan for somewhat warmer temperatures traveling from Zagreb in September, with highs in Split at 32°C and lows at 22°C. Finish up your sightseeing early on the 2nd (Mon) so you can catch the ferry to Hvar. 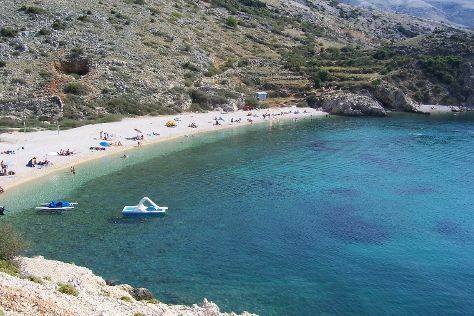 Your itinerary includes some good beach time at Dubovica and Zavala. Get some historical perspective at Spanjola and St. Stephen's Cathedral. There's still lots to do: choose your vessel at Ilirio's Hvar Tours, wander the streets of Milna, race across the water with a speed boat tour, and enjoy the sand and surf at Sveta Nedilja. To find photos, ratings, more things to do, and tourist information, you can read our Hvar travel planner. Ride a ferry from Split to Hvar in 2 hours. In October in Hvar, expect temperatures between 26°C during the day and 17°C at night. Wrap up your sightseeing by early afternoon on the 7th (Sat) to allow time for travel to Dubrovnik. Kids will appreciate attractions like Beach Kupari and Srebreno Beach. Get some historical perspective at Stradun and Vlaho Bukovac House. Change things up with these side-trips from Dubrovnik: Cavtat (Cavtat Cemetery & Cavtat Old Town) and Scuba & Snorkeling (in Mlini). There's much more to do: see the interesting displays at War Photo Limited, don't miss a visit to Gornji Ugao Tower, stop by Tedi, and steep yourself in history at Fort Lovrijenac. To find other places to visit, photos, ratings, and tourist information, refer to the Dubrovnik custom trip planner. Getting from Hvar to Dubrovnik by ferry takes about 4 hours. Other options: do a combination of car and ferry. 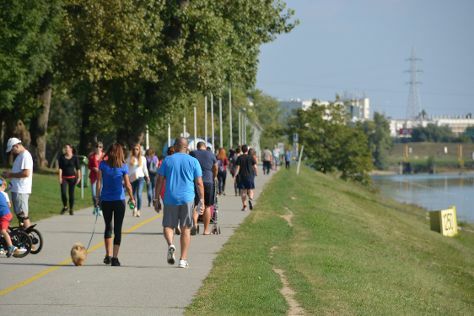 In October, plan for daily highs up to 24°C, and evening lows to 15°C. On the 12th (Thu), wrap the sightseeing up by early afternoon so you can travel to Valun. Kick off your visit on the 13th (Fri): make a trip to Valun Tablet (Valunska ploca), make a trip to Cres Tower, then kick back and relax at Mali Bok, and finally enjoy the sand and surf at Orlec Beach. On the 14th (Sat), you'll have a packed day of sightseeing: enjoy the sand and surf at Lubenice Beach. To see ratings, other places to visit, where to stay, and more tourist information, use the Valun vacation planner. The Route module can help you plan travel from Dubrovnik to Valun. Expect a daytime high around 22°C in October, and nighttime lows around 15°C. On the 14th (Sat), wrap the sightseeing up by early afternoon so you can travel to Mali Losinj. Mali Lošinj is a town and municipality in the Primorje-Gorski Kotar County, on the island of Lošinj, in western Croatia. Explore hidden gems such as Susak and Blue World Institute. Your itinerary includes some good beach time at Unije and Plieski. There's lots more to do: enjoy the sand and surf at Uvala Engleza, take in the waterfront at Breakwater Rovenska, tour the pleasant surroundings at Artatore, and hike along Osorscica - mountaineering trail. For photos, more things to do, maps, and tourist information, go to the Mali Losinj trip itinerary maker. You can drive from Valun to Mali Losinj in an hour. Traveling from Valun in October, expect a bit warmer with lows of 19°C in Mali Losinj. Cap off your sightseeing on the 18th (Wed) early enough to travel to Krk Island. Kick off your visit on the 19th (Thu): appreciate the extensive heritage of Baska, pause for some serene contemplation at Church of St.Trinity - Baska, and then enjoy the sand and surf at Stara Baska (Old Baska). Here are some ideas for day two: take in the architecture and atmosphere at Church of St. Lucy, step into the grandiose world of Frankopan Castle, and then enjoy the sand and surf at Soline Bay. To see reviews, more things to do, traveler tips, and tourist information, go to the Krk Island travel planner. Traveling by bus from Mali Losinj to Krk Island takes 2 hours. Alternatively, you can do a combination of car and ferry. Traveling from Mali Losinj in October, plan for little chillier nights in Krk Island, with lows around 15°C. Wrap up your sightseeing on the 20th (Fri) to allow time to drive to Pula. 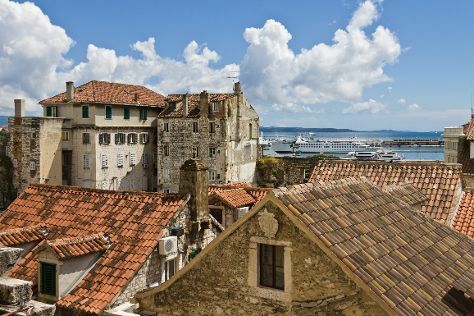 It's the mild climate and calm seas of Pula that draw visitors to the southernmost point of the Istrian peninsula, but the city's ample Roman architecture is a key reason they stay. Porec Old Town and STARI GRAD are good opportunities to explore the local culture. 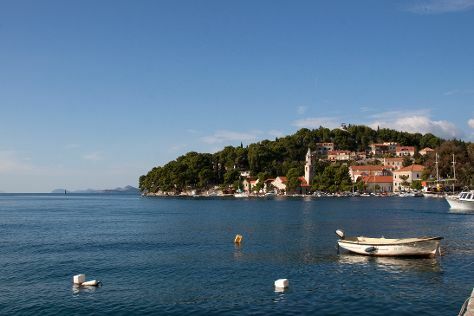 Take a break from the city and head to Kamenjak National Park and Port of Rovinj. Change things up with these side-trips from Pula: Saint Euphemia Cathedral (in Rovinj) and Euphrasius Basilica (in Porec). 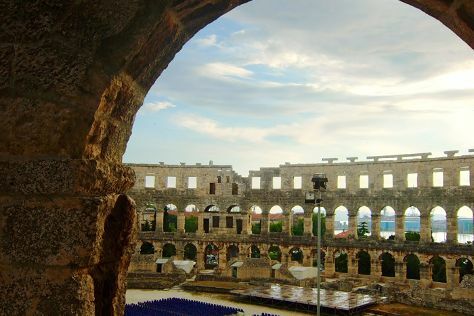 There's still lots to do: explore the ancient world of Pula Arena, paddle through the water with a kayaking and canoeing tour, and take in the spiritual surroundings of Monastery and Church of St. Francis. To see where to stay, maps, ratings, and other tourist information, use the Pula travel itinerary creator. Getting from Krk Island to Pula by car takes about 2.5 hours. Expect a daytime high around 22°C in October, and nighttime lows around 12°C. Cap off your sightseeing on the 23rd (Mon) early enough to travel back home.